@user-769855353: What a shallow and dumb accusation... He is being morally consistent. Trump is not perfect. Haha Bernie...always good for a laugh. I like Chris Matthews too. Thanks Ben, I needed the laughter. You are a very talented man...how knew? Uh YES! It is a major win... Congress and the president wouldn't be weighed down in contrived controversies. The focus would be able to be shifted towards getting a unified vote in congress to advance worthwhile policy and not waste money on endless special investigations/ witch hunts. Whose side are you really on Ben? 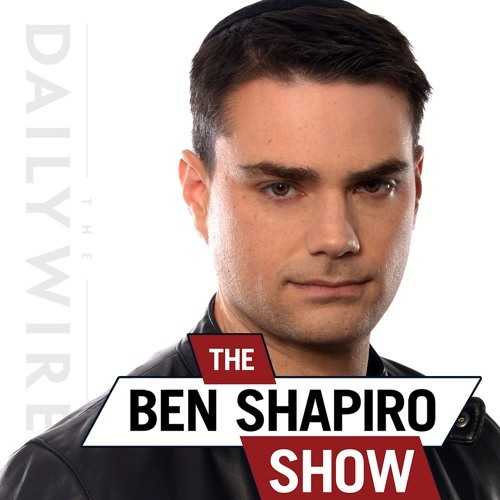 Did I just hear Ben say that we're letting Trump off the hook for corruption or that we should start enforcing the law because two wrongs don't make a right?!? Is this kid smoking something??? Talking in platitudes and philosophical jargon while sidestepping HUGE details about how this case got started that are all documented by the IG report, the text messages uncovered, the FISA warrant process... it's unbelievable that to learn all of these things I had to go to Dan Bongino and also start listening to Maria Bartiromo to learn about the details of how it all works. I'm really beginning to think Shapiro is part of the swamp at this point. All the hack propaganda magazines I would never read for an honest take on anything are what he lists on his twitter bio with pride. This dude is a part of the problem. A little unfair? Ben, you keep trying to be ye ole neutral cnn too much.